Cast: Matt Damon, Lawrence Fishburne, Kate Winslet, Marion Cotillard, Gwyneth Paltrow. 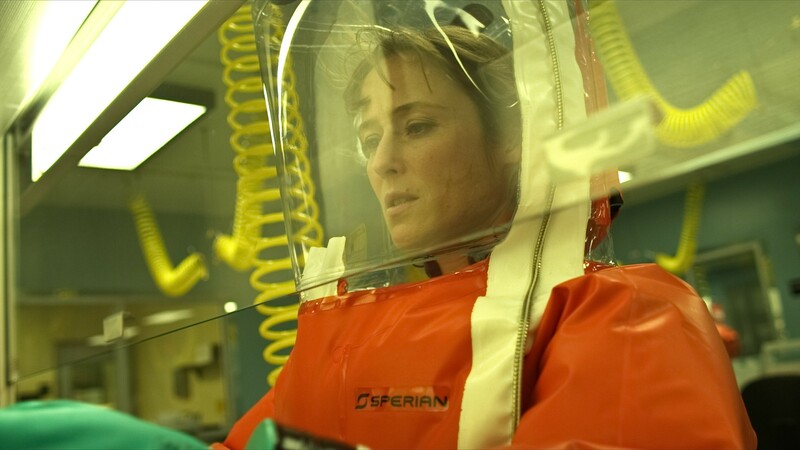 Steven Soderbergh directs Contagion, a film that explores the impact that a fast-spreading and deadly virus could cause with a scientific approach. There is a raw quality and intensity to the film that makes it feel unique despite having a concept too often explored in the big screen. For that same reason that sets it apart, Contagion often feels too didactic and procedural, feeling distant and void of emotion, turning death into a statistic that rarely comes across as tragedy. Director Jason Reitman and writer Diablo Cody, better known for her work on Juno, partnered to create the hilarious dark comedy “Young Adult”. Charlize Theron plays Mavis Gary, a writer for the tween publication that bears the name of the film who travels to her hometown once she finds out that her married ex-boyfriend, Buddy Slade (Patrick Wilson), invited her to a baby shower for the newest member of his family. After giving it some thought, Mavis has the disingenous plan of seducing her former beau and break up his supposedly “unhappy marriage” and continue where they left off, never considering she could fail. The script by Diablo Cody is wickedly funny, brutally honest and with deep emotional undertones. It moves forward with a clear direction, helped by the great performances of Charlize Theron and the very surprising Patton Ostwalt in a role that should have been nominated for awards. Though a bit predictable and a bit too hip for his own sake, Young Adult is a tragic trainwreck of a story that is entertaining, funny and unapologetical in its lack of political correctness. Charlize’s Mavis may be the least likeable character of 2011, but being all rooted in loneliness and unhappiness, we can’t help but root for her, even if, in our own lives, we have dealt with self-entitled, denigrating people who deserve none of our compassion. After all of the hoopla it has received, I could not wait to get my hands on the Blu-ray. 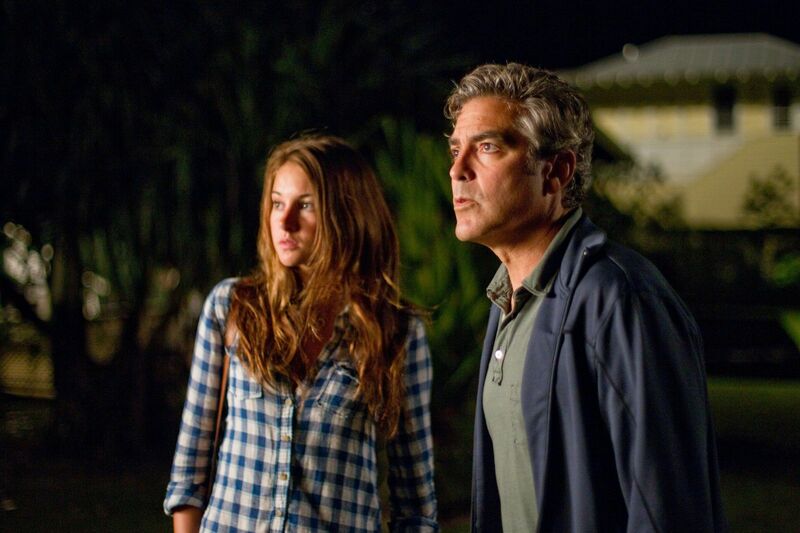 Starring a very effective George Clooney directed by Alexander Payne, The Descendants more than fulfilled my expectations, comfortably sitting in third place in my favorite films of 2011. What I liked most about the film is that it felt genuine, as if I was watching real people go through real problems, hardly ever coming across as a bunch of actors performing. Despite the intensely emotional moments that abound, the film never felt melodramatic or forced, using plenty of comedy to soften what could have been an overly dramatic script. The cast was superb, accomplishing the nearly impossible task of turning Clooney into a common man undergoing uniquely difficult circumstances. The theme of mourning a comatose wife was handled with tact and ability by an original screenplay that showed us that even in the paradise of Hawaii, tragedy is commonplace. 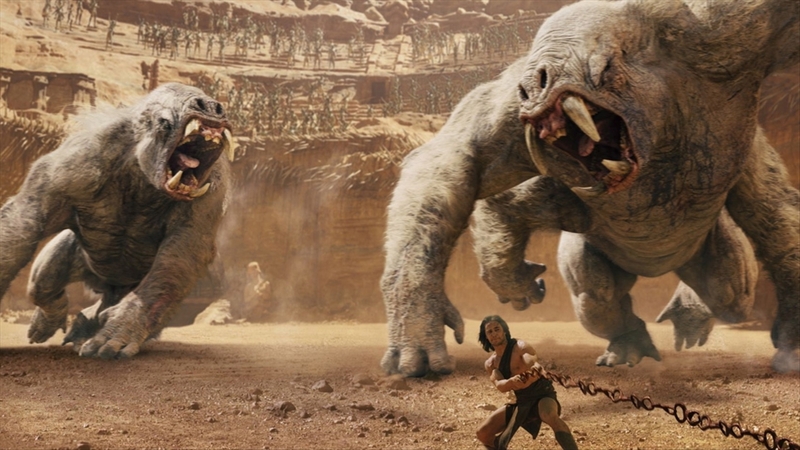 One of the merits of “John Carter” is that the endless use of special effects manages to create an entire world in front of our eyes, turning the surface of Mars into a rich environment where entire races are waging war on each other in a colorful spectacle of biodiversity and beautiful scenery. Rarely has a film portrayed an entire fictional world like the one we become a part of in “John Carter”, similar in scale and depth to that created for Avatar. Even though it starts very strongly as a period piece that quickly becomes a Martian expedition, “John Carter” has many shortcomings that keep it from being the entertaining spectacle that Avatar managed to be. First in the list is the acting, which is average at best. In fact, the creatures that populate the planet are certainly more interesting than our lead or any other humanoid Martian specimen. Another problem is the script, filled with cliches and overly corny moments that often involve our hero, played by Taylor Kitsch, and our heroin, the awful Lynn Collins. Many of their lines seem to come straight from the Disney book, very “G” rated, and very safe. John Carter is, therefore, more effective when taken as a family film that is meant to capture the imagination of the little ones who will surely forgive the many sins and faults of the dialogue and the performances. In purely technical terms, Silent House is above most horror films. The handheld camera work that is intended to give the impression that it was all shot in one continuous sequence is very effective in capturing the horror of the situation and as a stylistic expression that enriches the “look” and “feel” of the film. The editing process was certainly top-notch for there is no evidence of cuts in the action, which certainly increases the realism of the piece, taking away any possible distractions from the experience. Elizabeth Olsen performs beyond my expectations, getting lost in her role, giving the sensation that she is truly horrified. The physical and emotional demand on her character are great and she delivers with flying colors. Not as great are the operatic and systematic scares the old house she is trapped in delivers. Though scary at first, the environment becomes more of a prop of scares, like a haunted house in any American suburb. The resolution of the plot is also a bit too convoluted and creepy, diminishing the impact of the film. I wish it had been a bit more straightforward. Nice batch of reviews, Niels. I’m with you on Contagion. That movie had a great cast and an interesting spin on a tired concept, but it never really took it to another level. What did you think of the other films? I was very impressed by The Descendants. Hello Niels, and thank you for the invite to your page! On Contagion. I agree whole-heartedly. Very little emotion. Outbreak minus the monkies. On John Carter. Glad that you enjoyed it enough to give it an above average score! Sad that there won’t be a sequel. On The Descendants. Yes. George Clooney was spot on with this one, and the rest of the cast…superb. On Silent House. hated it. It invited me in to a creepy ride and I was captivated by Olsen’s performance until the third act where the plot/compilation of events took place in a highly confusing way without any resolution. Look forward to reading more of your thoughts on film! Glad to be here! You hated Silent House? As my review shows, I didn’t quite hate it, but yes, the ending was convoluted and just bad, definitely ruined the film. I am super happy to find someone else who liked JC more than the rest!! haha. I think the film did have some value, I just wish it had been a little less corny and with better acting. I was very impressed with The Descendants. But then again I haven’t been disappointed by Alexander Payne yet! I wasn’t too much of a fan, but The Descendants will go a long way to changing my mind. What did you think of About Schmidt? I have the same score on The Descendants. Love Clooney’s obvious fragility. I don’t think I’m in a rush seeing Contagion, though I love Cotillard. Cotillard is barely in the film, so don’t rush to see it just because she’s in it. Her role is also not central to the story. Jude Law and Lawrence Fishburne get significantly more screen time. Glad we agree on The Descendants! Nice reviews, Niels! A few I haven’t seen here but I agree w/ you on Contagion and The Descendants, I gave it the same rating. Not interested in John Carter, not even sure I want to rent it ahah. Agree with you that Young Adult missed out on nominations during awards season.